The goal of Addren Doss is to engage viewers emotionally by creating representational light filled paintings with intense colors and strong value patterns. Her oil and pastel paintings are filled with bold brush and knife work, and passages of pure clean color. One viewer recently said, “I feel a part of the landscape, the sun on my face, and the wind in my hair when looking at your paintings.” Another said “I feel like I can reach out and touch your animals”. Addren spent the first twenty years of her art career as a graphic designer doing corporate and freelance work. In 1990 she decided to follow her true passion, and began her career as a painter. Over the years she has studied with many noted American artists. Now she feels the need and responsibility to share what she has learned by teaching classes and workshops in oil and pastel, which she has been doing for over 12 years. 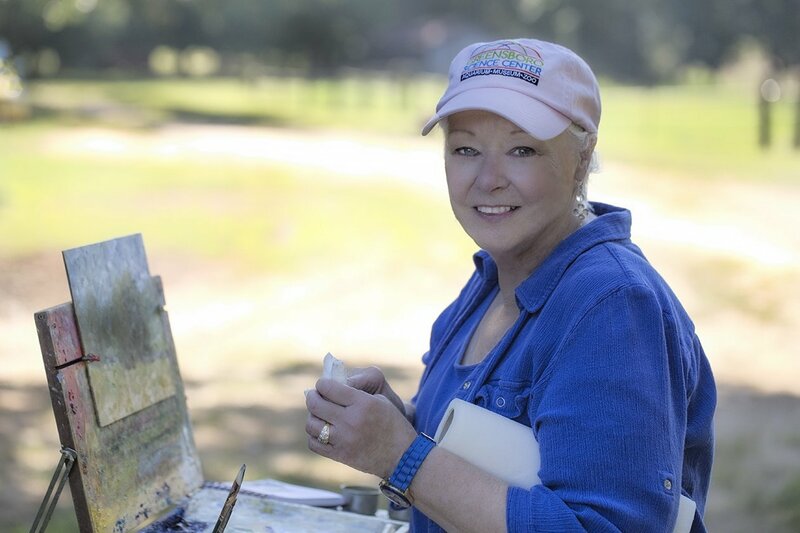 Addren is a Master Signature Member of Women Artists of the West, Associate Member of the Pastel Society of America, Founding and Charter Member of the Piedmont Outdoor Painting Society, Member of Excellence of the Southeastern Pastel Society, and member of the Pastel Society of North Carolina. She is represented by Tyler White O’Brien Gallery, Greensboro, North Carolina; and Peacock Alley, Chapel Hill, North Carolina. Her work can be found in many private and corporate collections across the country and internationally. She and her husband live in Greensboro, North Carolina.